The key will be cutting weight and improving handling. 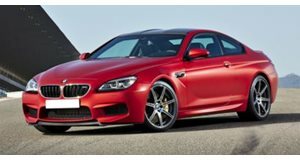 Set to launch sometime in 2017, BMW is now busy developing the next generation 6 Series and M6. 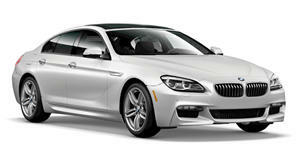 But in a reversal of the trend, the new 6 Series will be lighter than the car it replaces. Once again, three different bodystyles will be offered: the familiar coupe, convertible and Gran Coupe. The latter will receive an even longer wheelbase in order to have increased interior space, but the coupe and convertible will decrease in size. BMW’s goal is to cut around 440 lbs, which will be accomplished with greater use of carbon-fiber components, aluminum alloys, high-strength steel, as well as magnesium and titanium accents. Because they’ll be riding on an all-new platform, all three variants will feature shorter overhangs and a wider track. 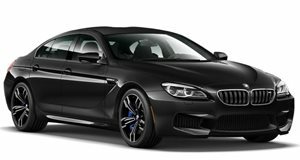 The M6, in addition to various other exterior styling and performance add-ons, will come standard (it’ll be optional for the rest of the range) with an active aero kit. All-wheel-drive versions are also planned, but we won’t see a hybrid or plug-in hybrid variant anytime soon. More than likely, it won't happen at all for this upcoming generation. The standard engine should be a 3.0-liter inline-six rated at 347 horsepower, while the M6 is expected to pack a 4.4-liter twin-turbo V8 with 600 ponies. To sum up, BMW is well aware of the current 6 Series' downsides (namely weight and packaging) and is determined to correct this. The overall goal for the new 6 Series is for it to properly challenge the Porsche 911 in all areas, which it has so far failed to do.